Probate is the process by which a court authenticates an individual's will, and grants a personal representative the authority to marshal and distribute the estate's assets. Probate typically lasts many months, but when you receive your inheritance depends on many factors. 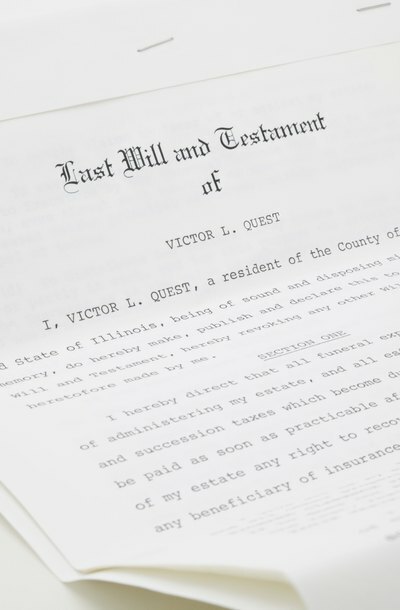 The probate process begins when the decedent's original will, along with supporting documents, is presented to the court. Required supporting documents differ by state. For instance, in New York, a petition must be submitted detailing all interested parties and all assets known at the time of filing. As administration of the estate progresses, additional documents must be filed with the court, such as an inventory of assets. If these documents are not properly completed, they will be returned by the court for correction, delaying administration of the estate. Filing accurately executed documents can make sure the process goes forward in a timely manner. Generally, all individuals named as beneficiaries need to be notified that probate has been opened. Additionally, anyone who's not named in the will but who would typically inherit under state law in the absence of a will -- a child, for example -- must be notified. This notification process can often be the most lengthy part of probate. Many times individuals who must be notified are scattered throughout the country and abroad, making them difficult to locate. Also, when someone is unexpectedly left out of a will, she may feel slighted or suspect some wrongdoing. This can result in the will being contested in court, which can lengthen the probate process. Once the will has been accepted for probate, there's a certain length of time during which claims on the estate must be presented. A creditor has a right to be paid from the proceeds of the estate, but he has only a certain amount of time, usually less than one year, to present his claim. This time limit is important for the timing of inheritances. If inheritances are distributed before this time limit has expired, and a creditor comes forward with a valid claim, the executor may be held personally liable for this debt. This means that the executor must wait until the time for creditors to present their claims has expired. You can check with your local probate court for the appropriate time limit in your state. The nature of your inheritance may also affect when you receive it. For instance, many times an estate will consist of one or more bank accounts and a piece of real property. In this instance, probate should be relatively simple and you will typically receive your inheritance within the year. However, if assets are more complicated -- for example, perhaps the decedent owned the asset with other individuals -- the process can become more lengthy. An executor has certain responsibilities and requirements he must meet before settling, or closing, an estate. If he manages the estate improperly and distributes assets before settling with creditors and paying taxes, he could be held personally liable for monies owed. While the probate process usually takes six months to a year, it can take longer if the executor delays his duties or if the estate is complicated.